I don’t know how it happened, but it happened. Francis Lawrence and screenwriters Peter Craig and Danny Strong have taken what many believe to easily be the weakest of The Hunger Games books and make one movie that’s really solid for the most part and another that’s, dare I say, pretty great. Then again, maybe I shouldn’t be so surprised, given that the talent of filmmaking for this franchise has been consistently strong and that Mockingjay – Part 2 happens to be adapting the better half of Suzanne Collins’ final book in the trilogy. This may be one of those rare cases where what isn’t so spectacular on the page ends up working A LOT better on the screen, to the point where the comparison between each might as well be night and day. I honestly didn’t think I’d be saying this, but Mockingjay – Part 2 is actually one of the best movies I’ve seen so far this year. I have to attribute this film’s level of success to the fact that the filmmakers involved here are stronger storytellers than Suzanne Collins herself. Mockingjay – Part 2 is very faithful to the source material, and I couldn’t help but be concerned about that, despite how much I ended up liking Part 1. Now, usually, the phrase “lost in translation” has negative connotations, but in this case, it’s actually beneficial. Everything from the second half of the book — as far as I can remember — is in the film, yet it’s all enhanced by how confident and precise the filmmaking is. Just like the first three, Francis Lawrence creates an atmosphere for this film that I can only describe as gripping. In spite of the presence of a handful of clichéd young adult storytelling tropes — and there are some still hanging around, like fleas on a dog — there’s a level of maturity in the treatment of the meat of the story that helps this rise above its genre. This is a young adult story that treats its audience like adults for the most part, something you don’t often see. Also just like the first three, the more intimate approach to the drama still remains. Mockingjay – Part 2 is a film that feels exciting, epic and emotionally intimate all at the same time, and for my money, that approach has always helped the odds be ever in this franchise’s favor. I’ve already seen a number of critics criticize this movie for feeling too small in how it handles the culmination of all the conflict throughout this series, and while I can understand that point of view, I also think that it’s a view that’s missing the point. When factoring in the tone and themes of The Hunger Games series so far, Mockingjay – Part 2 was never going to be — nor was it meant to be — a typical slam-bang, knock-your-socks-off action climax of the series. The violence in the franchise has always been treated, from the point of view of our main protagonists, as something definitely NOT meant to be entertained by. So, it only feels appropriate that Mockingjay – Part 2 doesn’t go balls-to-the-wall with Hollywood-ized action every five minutes and that when there is action (which is still a healthy amount), the tone of said scenes is rightfully quite serious and not meant as outright entertainment. A sewer-set sequence carries a great amount of suspense, but the dramatic tension is never abandoned for thrills during it. There are no scenes of armies of people charging and battling each other because that would probably betray the established tone, and I applaud the filmmakers for recognizing that. They manage to give this movie weight without resorting to the usual methods of stories like this. Not to mention this movie gets pretty dark towards the end. Another criticism among other critics I don’t agree with is how they say Jennifer Lawrence looks “bored” throughout this movie. My view on this is that she’s playing the role appropriately, albeit broken, beaten down, hollow and fed up with everything she’s had to contend with and everything that’s been put on her shoulders. Her portrayal of Katniss in this film feels right, given the circumstances of the plot and as always, she’s captivating to watch. Donald Sutherland’s twisted, snake-like sinister quality as Snow is at its peak here, as it should be, and he absolutely nails every major scene of his, particularly his last one. Josh Hutcherson, Woody Harrelson, Julianne Moore and even Sam Claflin all deliver very strong performances, which brings us to Philip Seymour Hoffman. All told, his screentime in this movie probably amounts to ten minutes or less, but fortunately, he made the most out of them. 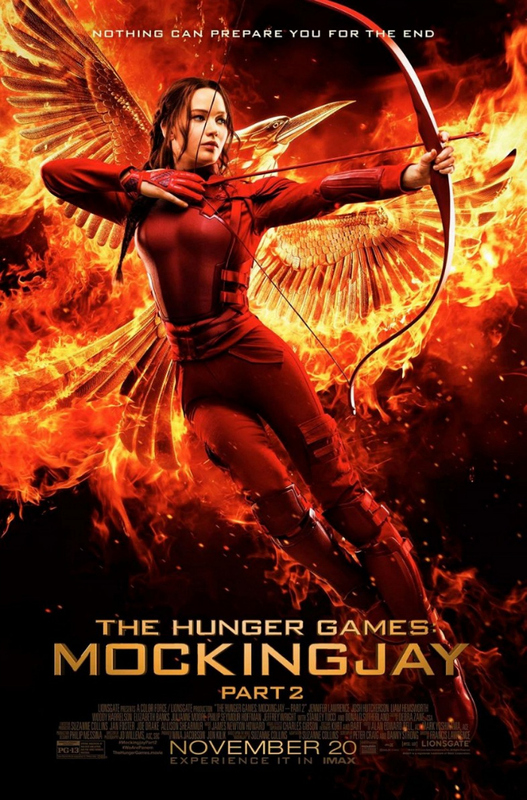 Emotionally, Mockingjay – Part 2 more than satisfies. As much as I loved this film, though, I will admit there’s one particular moment of significance towards the end of Act 2 that feels just a little rushed and abrupt, however the aftereffects of it more than make up for that. In addition, the persistence of the love triangle between Katniss, Peeta and Gale feels as forced and shoehorned-in as ever, to the point where it is genuinely a distraction at one point in the film. I’ve always admired the handling of the Katniss-Peeta relationship, but the love triangle, yeah, I can’t really leap to the defense there, especially not this time. Other than that, Mockingjay – Part 2 is extremely effective dramatically. It got to the point where, during the last ten minutes or so, I was screwing my face up as hard as I could trying not to cry while still paying attention to the movie. As a result, the musical cue “Rue’s Farewell” has probably been permanently messed with so that every time I hear it now, I’m going to get emotional. It just goes to show how good James Newton Howard’s score is. Not many film franchises can have the distinction of not containing a bad movie in its whole run, but here we have The Hunger Games franchise. If you’re a fan, then Mockingjay – Part 2 should serve as a satisfying finale, and that’s really all there is to say. Personally, I already feel comfortable in calling it one of my favorite film franchises ever.